Abstraction indicates a departure from reality in depiction of imagery in art. This departure from accurate representation can be slight, partial, or complete. Abstraction exists along a continuum. Even art that aims for verisimilitude of the highest degree can be said to be abstract, at least theoretically, since perfect representation is likely to be exceedingly elusive. Artwork which takes liberties, altering for instance color and form in ways that are conspicuous, can be said to be partially abstract. Total abstraction bears no trace of any reference to anything recognizable. 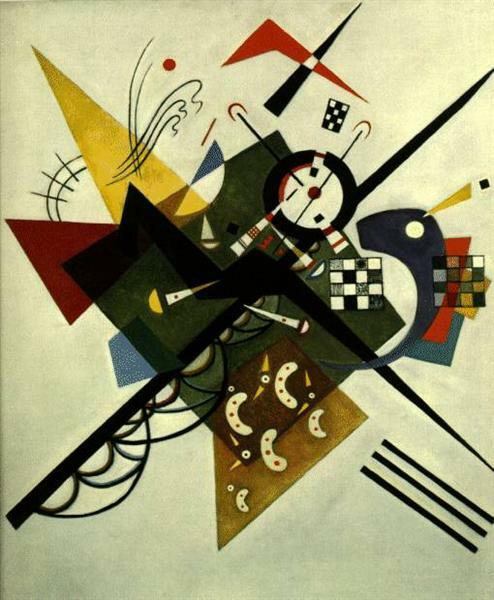 In geometric abstraction, for instance, one is unlikely to find references to naturalistic entities. Figurative art and total abstraction are almost mutually exclusive. But figurative and representational (or realistic) art often contains partial abstraction. Much of the art of earlier cultures – signs and marks on pottery, textiles, and inscriptions and paintings on rock – used simple, geometric and linear forms which might have had a symbolic or decorative purpose. It is at this level of visual meaning that abstract art communicates. One can enjoy the beauty of Chinese calligraphy or Islamic calligraphy without being able to read it. In Chinese painting, abstraction can be traced to the Tang dynasty painter Wang Mo (王墨), who is credited to have invented the splashed-ink painting style. While none of his paintings remain, this style is clearly seen in some Song Dynasty Paintings. The Chan buddhist painter Liang Kai (梁楷, c.1140–1210) applied the style to figure painting in his "Immortal in splashed ink" in which accurate representation is sacrificed to enhance spontaneity linked to the non-rational mind of the enlightened. A late Song painter named Yu Jian, adept to Tiantai buddhism, created a series of splashed ink landscapes that eventually inspired many Japanese zen painters. His paintings show heavily misty mountains in which the shapes of the objects are barely visible and extremely simplified. This type of painting was continued by Sesshu Toyo in his later years.